One big mistake I make with Bryson all the time is that I tell him days in advance about fun things we have planned. I get excited and want him to have something exciting to look forward to, so naturally I tell him. The problem with doing this is that it causes him to ask me about a BILLION times how many more days until it's time to do [insert fun activity here]. Okay, so the "billion" part is an exaggeration, but he asks enough to drive anyone crazy...especially me! Why I do that to myself each time, I have no clue but it's a bad habit I am working very hard to break. 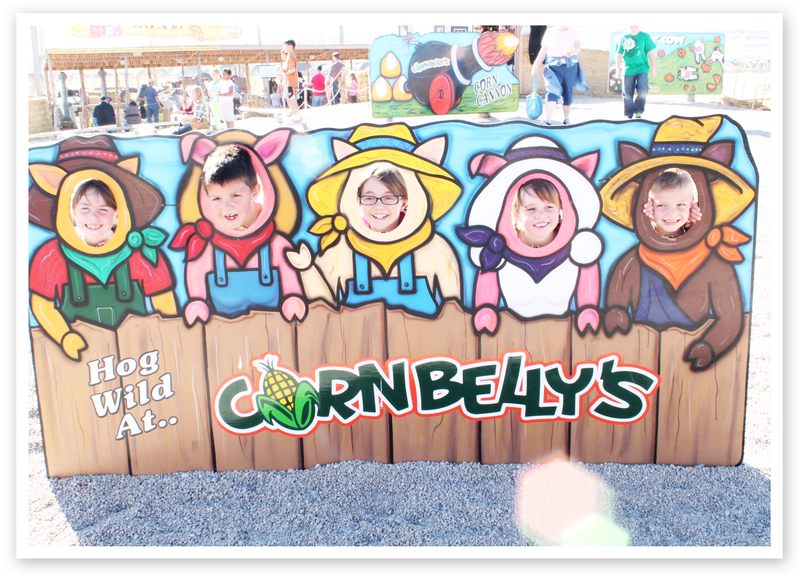 This week Bryson drove me crazy asking about our annual trip to Cornbelly's in Lehi with my side of the family. 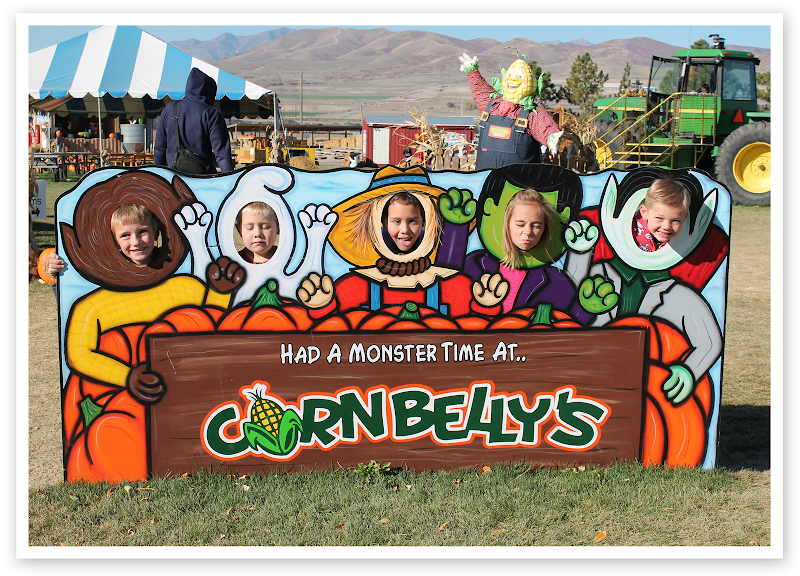 Bryson's favorite things were the corn box, potato sack slide, and the haunted monster. Somehow about 50 corn kernels from the corn box made their way home with us and magically appeared in my washing machine after I finished the laundry. Now, I wonder how that happened? 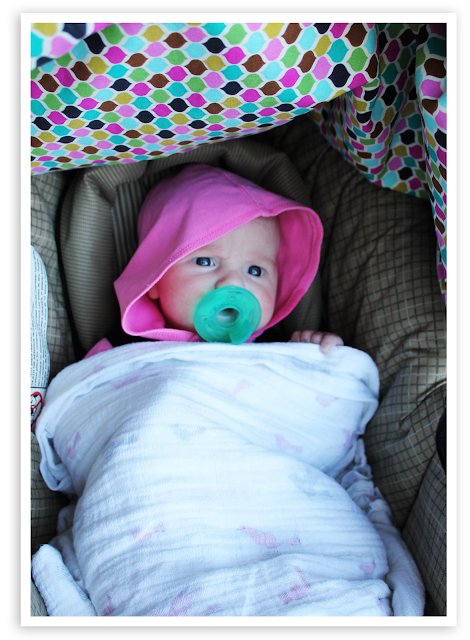 Although she looks very awake in this picture, Lilly slept the whole time snuggled up warm in her stroller. She is such a sweet little baby and we just love having her in our family. Bryson got lucky this year and got to go back a second time two days later with Mike's side of the family. We had a blast with both families and created a ton of new memories.